And then there were three. The fourth wasn’t there because she might be getting something pierced and the fifth’s family are doing something else for a couple of days. Watch out employers/directors/collaborators: I have learnt some cracking reasons to not rehearse any shows you want me to perform in. We started by going through the material we already have and then working on it section by section trying to make it a bit more dynamic by thinking about how lines could be spoken, what actions could be happening at the same time, and trying to make it feel less like a school assembly that they have been forced to speak at. If this was a scratch and sniff, today’s post would smell like a body spray that takes me straight back to the 90s. Every break time was spent in a big cloud of ‘So…? Kiss me’ which is apparently still going strong. I’m noticing a pattern in the structure of these rehearsals- an afternoon dip and then a really productive burst at the end. They wrote not one but TWO pieces of text each after this afternoon’s dip, and we suddenly have a whole new bit to work on tomorrow. 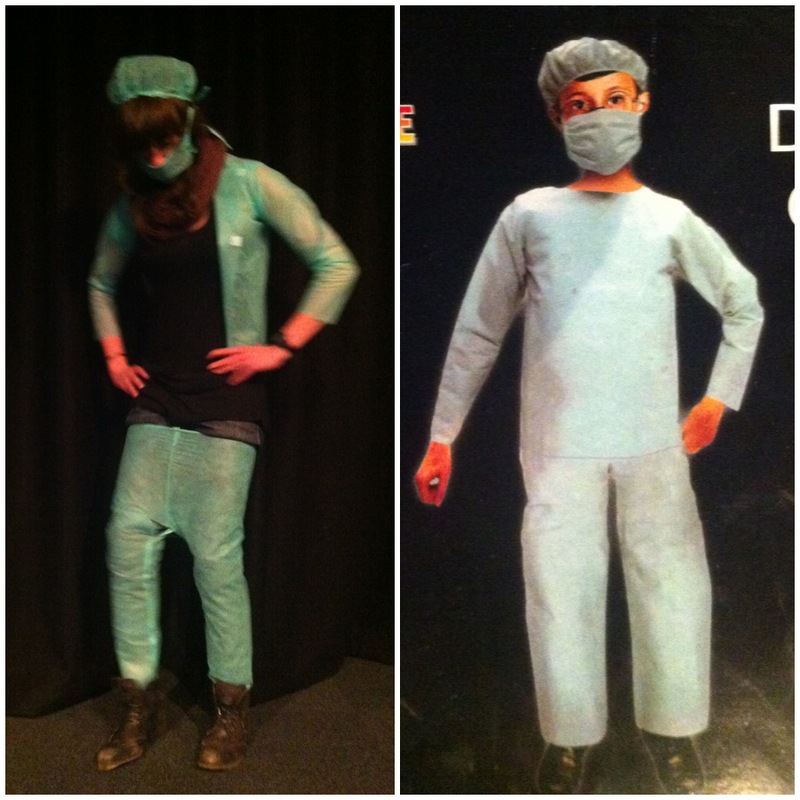 We’ve also been trying to think about how the performance might look- how to make it more visual. With this in mind, while they spent lunch time singing far too loudly into the microphones along to Taylor Swift, Rihanna and Pink youtube videos, I went to a shop and found doctor’s scrubs for £1.89! I did what any visiting-youth-theatre-project-director-who-needs-to-give-them-a-costume-soon would do and brought some, getting excited at the possibilities. Too excited to notice the size of the costumes. That idea didn’t go much further than getting the scrubs out of the packets, but there was something about the masks and hats that looked quite nice so I’m not disregarding it just yet. – A way to let a naturalistic character monologue sneak into the piece in a way that might actually work. I can’t believe it’s Friday already. I also can’t believe how relaxed I am about that. 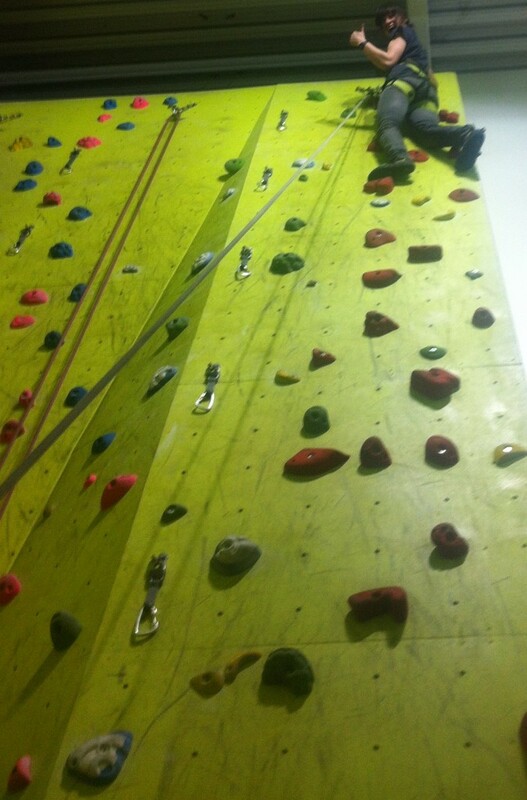 I climbed the wall!